Come to meet the CaminoWays.com team! The CaminoWays.com team will be exhibiting at two fantastic travel shows in November: World Travel Market WTM in London and Fairway in Santiago de Compostela. World Travel Market is one of the biggest and busiest travel shows in Europe, attracting thousands of travel professionals from all over the world each November. You will find the CaminoWays.com team at our usual spot at stand EU1506 where Claire and Esther will be available to answer all your questions about the Camino de Santiago and CaminoWays.com, our destinations, what we do and how we can work together. 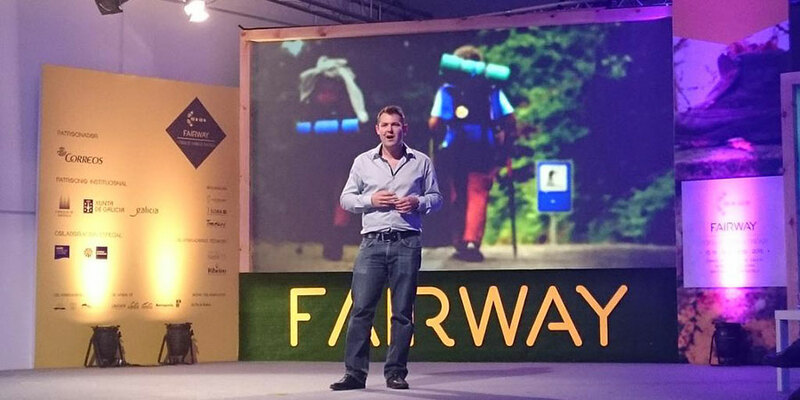 We are thrilled to be taking part in the second edition of Fairway, the conference and travel show dedicated exclusively to the Camino de Santiago and taking place in Santiago de Compostela. Visit us at stand 129 to meet and greet the CaminoWays.com team and learn more about what we do. We have a team of five attending Fairway this year, including: director Roland Monsegu; Alex and Tania, our Reservations Managers, who will be taking part in the workshop; while Marketing Manager Maria and Senior Travel Consultant Carmen will be available at our stand.